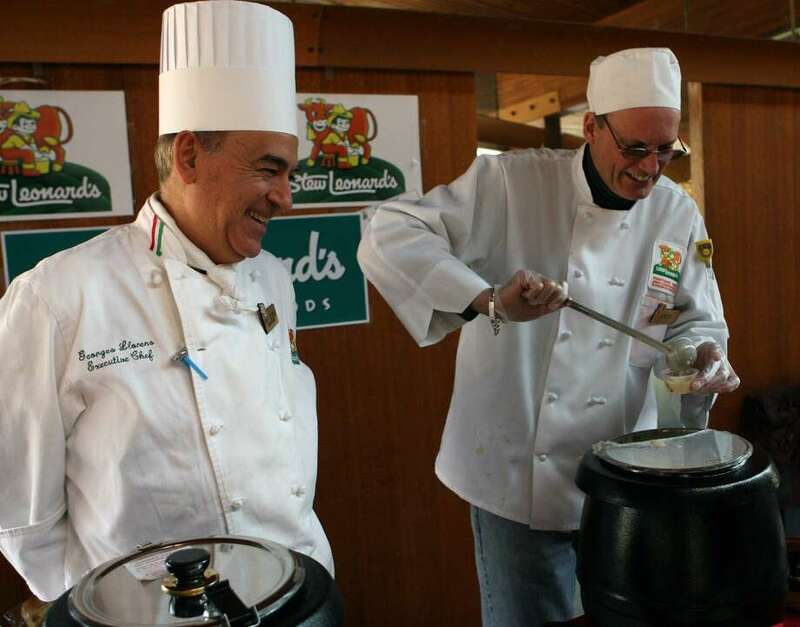 Chef George Llorens, left, and Joe Breisler offer clam chowder and lobster bisque from Stew Leonard's at the 2008 Chowdafest at the Unitarian Church of Westport.The 3rd annual Chowdafest competition will be held on Saturday, February 5, 2011 from 11 a.m. ñ 4 p.m. at Bedford Middle School, 88 North Avenue, Westport. The event raises money for The CT Food Bank. WESTPORT-The town’s annual Chowdafest gets a preview at the Big E starting Friday. Jim Keenan, the Chowdafest’s executive director, said the state invited them to take up residence in the Connecticut Building on the Avenue of States during the entire Big E’s Sept. 14-30 stay in Springfield, Mass. It’ll be located near the Lenny and Joe’s lobster roll booth. “Chowdafest, presented by Stop &Shop, will be opening a cafe offering eight ounce cups of chowder, soup and bisque,” Keenan said. He added that this will be just a sampling of what the Chowdafest will provide during their annual Sept. 30 festival at Sherwood Island from 11 a.m. to 3 p.m.
For each of the Big E’s 17 days the cafe will present five different choices—New England white and Manhattan red clam chowder, blended clam chowder, creative clam chowder, soup or bisque and vegetarian. The Big E draws about 1.5 million people annually, making it the fifth largest fair in the U.S.